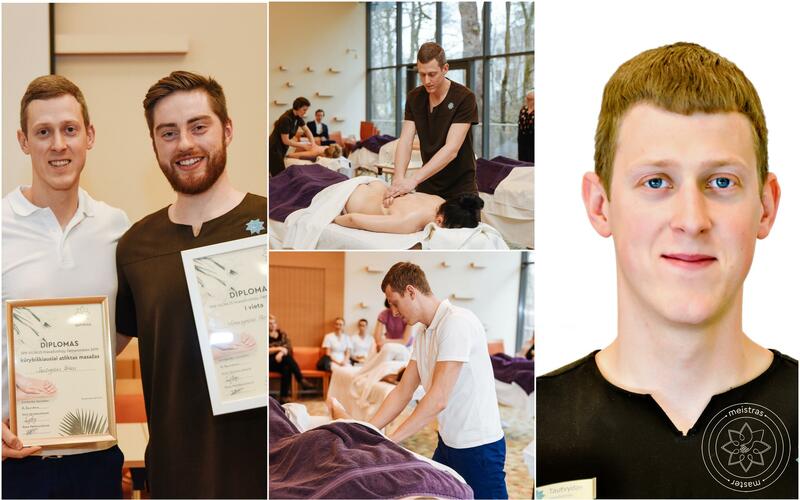 During the Massage Championship that we held in the beginning of March 2019, Tautvydas Žėkas was awarded for the most creative massage, and today we congratulate him on acquiring the ‘Master of SPA’ qualification and joining the ranks of our ‘golden hands’. We invite everyone to try Tautvydas signature massage, which is a deep sports massage to relieve muscle tension in the whole body or just the back or legs. The massage is perfect for physically active people and everyone who feels tired ans stressed. share their experiences with beginners and help them develop.